I just love ooey gooey rice-like concoctions, don’t you? 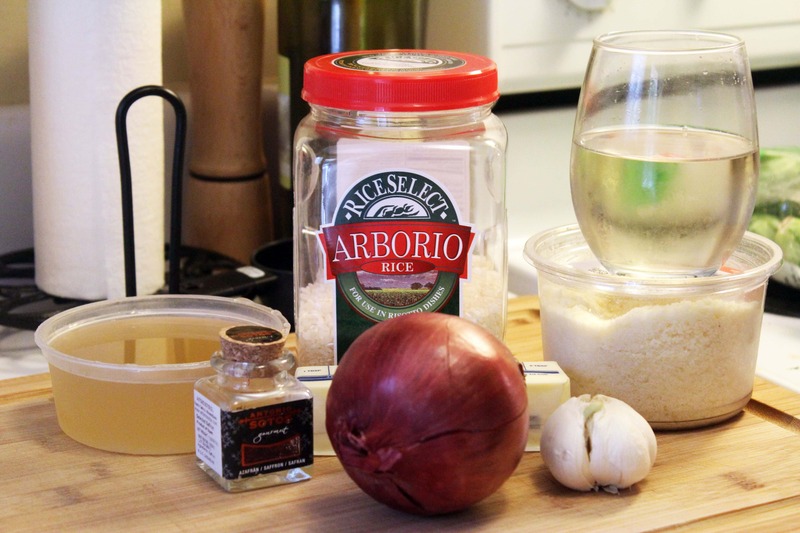 This is what I do when I make “plain” risotto. 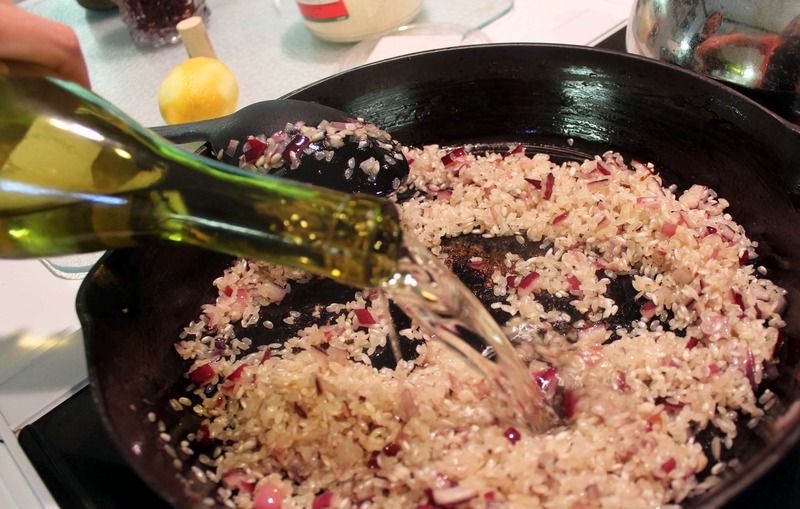 There are lots of “flavors” that I use when I want risotto to have a certain personality, but this is the go-to when I’m using it as a side dish. The saffron adds a lovely flavor in the background that you can’t quiiiiite place, but just a pinch adds a great depth of flavor that I just love. Weird story: Saffron is expensive, right? Well, check discount stores such as TJMaxx for it – I found nearly half an ounce (that’s a lot) for $5 one time! 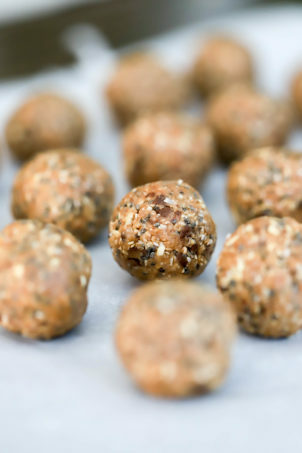 Those places always have fancy foods like dried pasta, pickles, and out of date chocolates – look for cool spices too! Anyway. 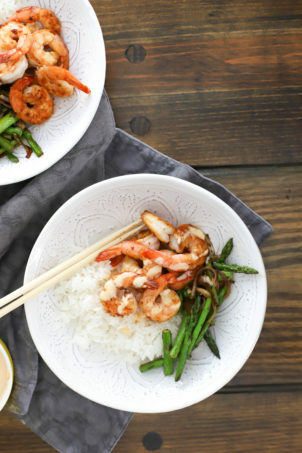 For this gloriously simple rice, here’s what you need! 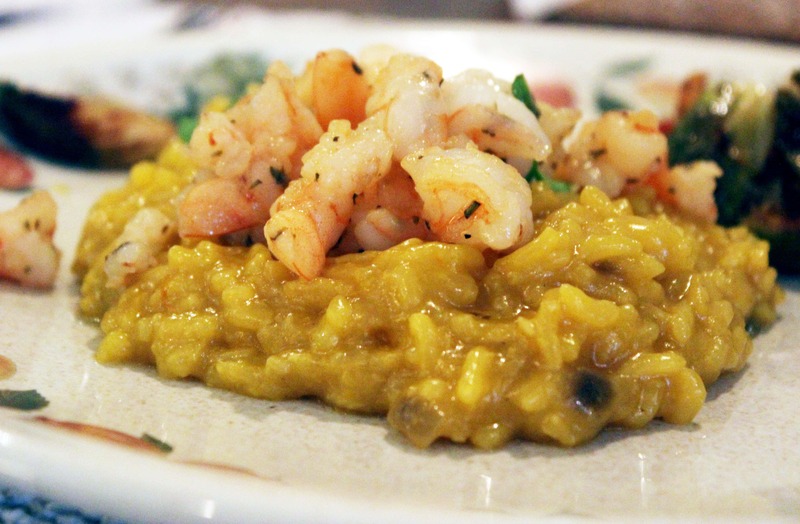 Lots of people say that risotto is intimidating, but it’s really so easy! Just keep the heat on medium-low and stir nearly all the time as the liquid reduces. As for when it’s done, TASTE YOUR FOOD, people. 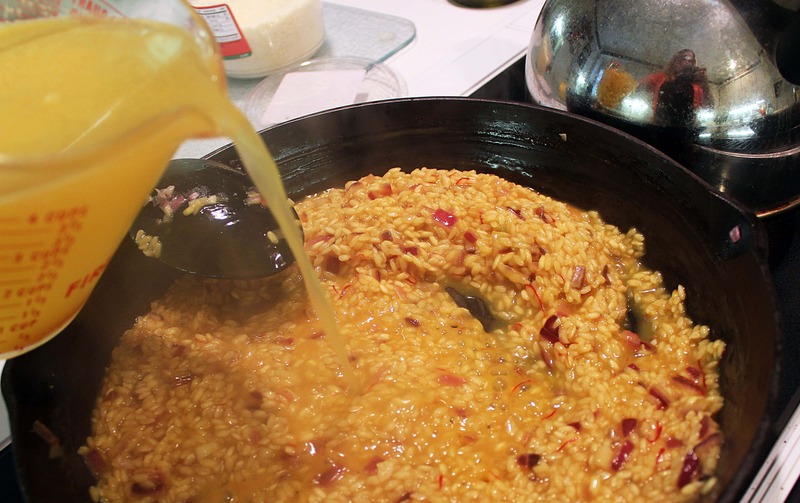 You know what cooked rice tastes like, so keep adding liquid to the risotto until it tastes done! 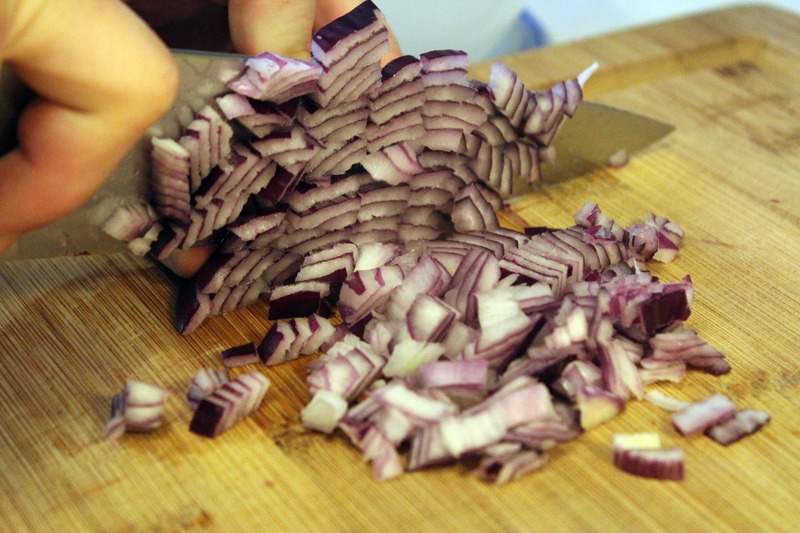 As per the usual, grab your ingredients and chop the onion and mince the garlic. Add them to the pan with a sprinkle of salt and the butter. Add some pepper too, if you’d like! 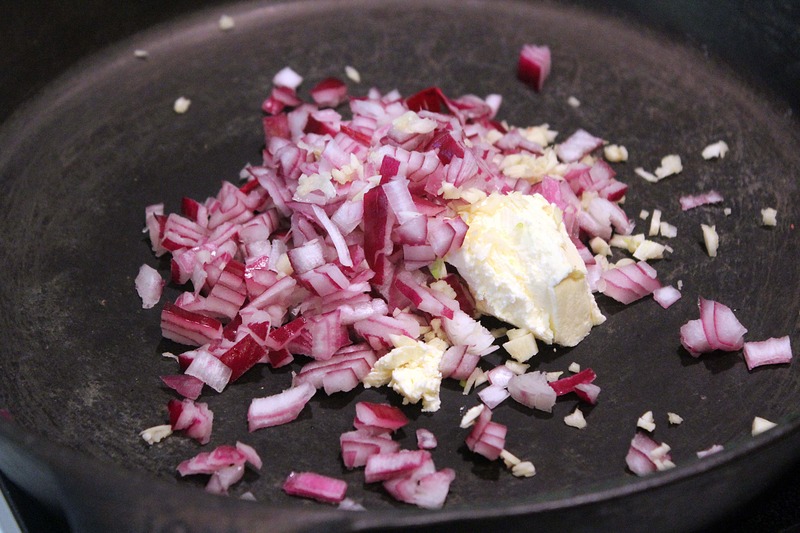 Let the onion and garlic soften over medium-low heat for 3 minutes or so until they begin to soften but don’t turn brown. Then add the rice! Stir the rice into the butter and onions for 3 more minutes until it starts to turn golden brown and is coated in butter. Then, turn the heat up to medium and add the wine! Woosh. Yum. I love wine. Let the wine reduce all the way, stirring as that happens. If the wine doesn’t bubble quickly you can turn up the heat a little bit! Meanwhile, crumble the saffron threads with your fingers and stir them into the rice/wine mixture. Then, 2/3 cup at a time (a few spoonfuls, definitely don’t embarrass yourself and measure this), add in the stock. Stir each time, and add more once all the stock has dissolved. 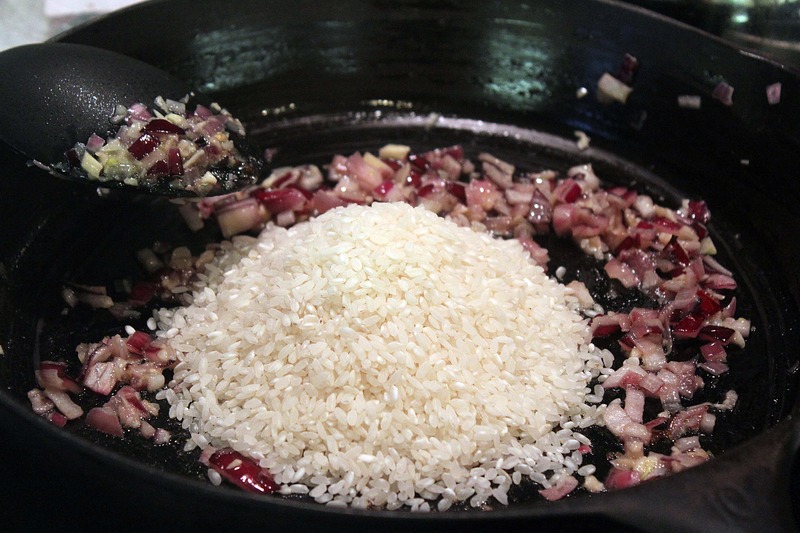 Repeat this over and over and over and over again until the rice is plump and cooked through, for about 25 minutes. NOTE: I start tasting my (still raw) rice about halfway through the cooking process. If it tastes pretty salty, I switch from stock to water to avoid having overly salty risotto. Taste the rice, and add more salt and pepper if you need to! 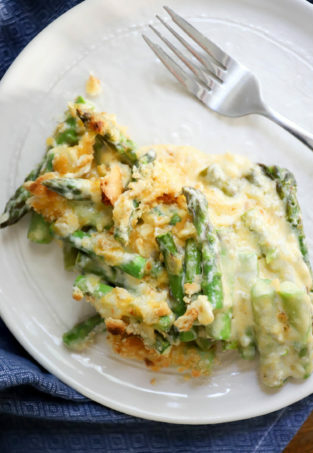 Stir in the parmesan if you’re using it, and look at how lovely and comforting this is! 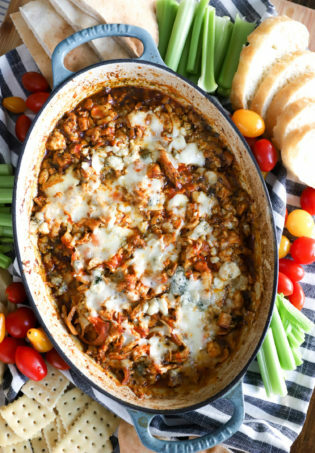 Put some herbs on top of it, if you’d like, and ENJOY. YUM. AND, what if you put some cute little minced shrimp on top? That, my dears, is what we shall discuss right after this. Promise! You can totally do it. The key is to keep the heat low enough so that the water doesn’t flash boil the second you put it in. 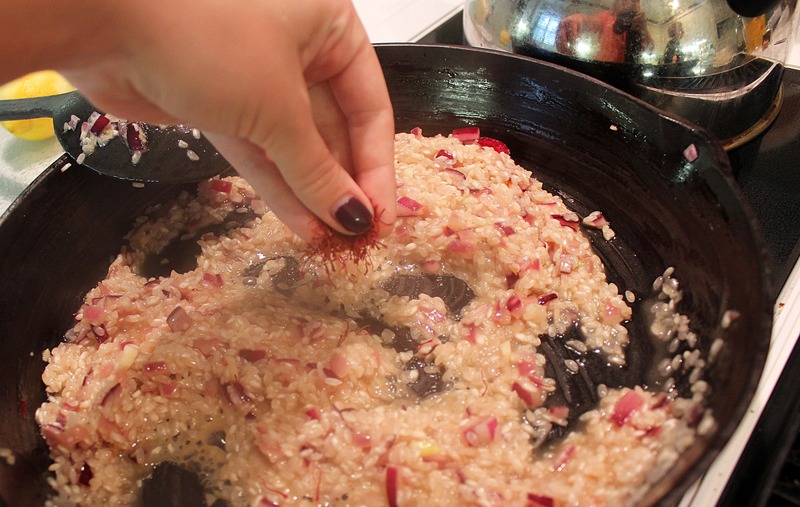 Each 2 or 3 big spoonfuls should take a minute or two to completely absorb into the rice. Once the liquid is gone (or just nearly gone), add more! Let me know how it goes! Looks good and great tips. 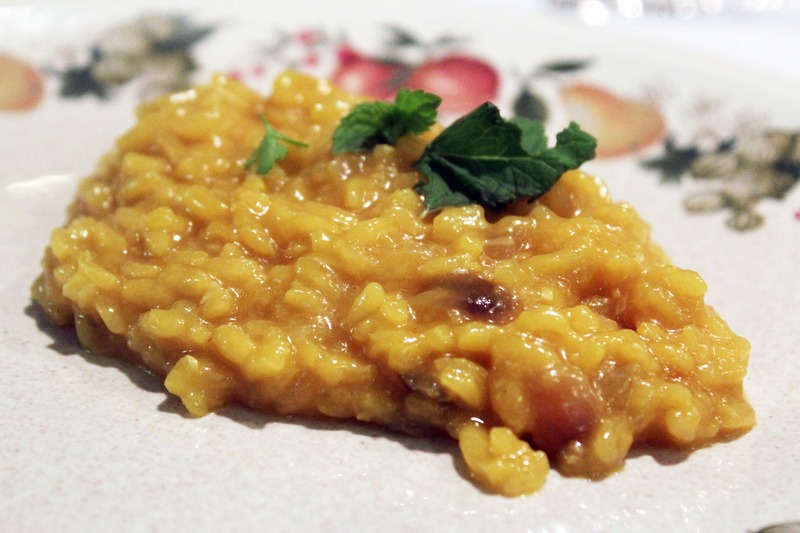 Did you know Milan is known for adding saffron to their risotto? 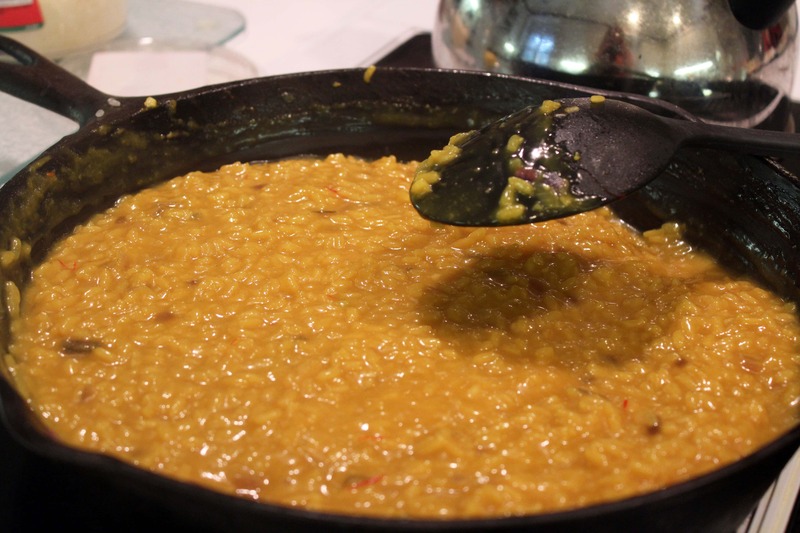 They call it risotto alla Milanese. I didn’t know that! Makes sense, though…they use saffron as an added flavor to some dishes we consider “traditional” that make them a little different. I love it!